The A’ Luxury Design Award is an international award programme which honors creative excellence in Luxury Products, Services and Communication. The A’ Awards bring together brands that reflect the pinnacle of luxury, exclusivity and elegance from every sector. Submissions are accepted worldwide from designers, providers and manufacturers of exclusive and luxury products, services and events. The A’ Luxury Awards promote, celebrate and reward exclusive and luxury products and services at the highest level possible every year to honor the designs that showcase creative excellence. The A' Design Award for Luxury Design is not just an award, it is the indicator of quality and excellence in design of Luxury services and products, the award is recognized worldwide and takes the attention of design oriented companies, professionals and interest groups. Winning the A' Luxury Award is a certificate of excellence and the A' Design Award attracts luxury and design oriented parties worldwide, winners will be able to find better and higher profile sales leads, get a step ahead in their commercial life, reach luxury audiences and consumers. The winners of the A' Luxury Design Award are provided extensive and exclusive marketing and communication services to promote the success of winning the A' Award. Furthermore, award winning luxury products and designs are published as a part of the annual yearbook which is available worldwide, this book is furthermore distributed to the high-profile magazine editors, design oriented companies and relevant parties. The winning designs are also exhibited at our exhibition in Italy, and the best designs will be picked for the permanent exhibition. The winners appear on magazines, newspapers, webzines and many other publishing mediums. For concept stage projects, the A' Award is an early indicator of success. For realized designs, having the A' Award gives added value to your products and separates them from the rest of commoditized goods, it is an excuse to communicate your product to the media, a reason for press releases. The Aim of the Luxury Design Award is to attract the attention of luxury and lifestyle design media, magazines, and industry leads to your business by creating publicity and dissemination. The Limited Edition Award helps to separate you from the rest of the actors in the your industrial sector by honoring your institution with a prestigious award. Unlike some other design awards and competitions, you are not obliged to make any further fees for winning the Luxury Design award and every item listed in the winners benefits will be provided free of charge. Learn more about the winners' benefits here. To learn more about winners' services here. And check the contents of the winners pack here. 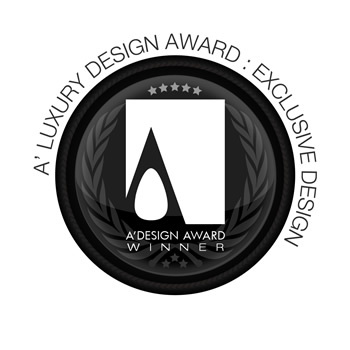 Winners of the Luxury design award can additionally use the"black" winner badge for their communication. When submitting to the Luxury Design Competition keep in mind that your submission will be evaluated on multiple factors based on the initial submission cateogry; For example: For real estates; location, infrastructure, security and architectural and interior design is considered. For dining and restaurants category, the menu, service, identity design, and amenities are considered. For brands, market reputation, brand identity design, corporate design schemes and product portfolio is considered. For accommodations and hotels; architecture, interior design, identity design, food & beverage, amenities, concierge, and overall comfort is considered. For events, event identity, attending VIP guests, originality and media outcomes are considered. For airlines and jet services, the first-class comfort, level of service, concierge and VIP lounges among with company reputation is considered. For publications, quality of printing, the design of the publication, and the content is highlighted. For spa and fitness centers, the location, access, amenities, consumer services etc. are considered. For any other application, it is important to highltight the utilization of design for creation of exclusivity and luxury in a PDF presentation. While preparing the images and visuals please restrain from using "glamoring effects", highlight quality and design values through a simple, modern and professional presentation prepared by a design agency. The most luxury designs are considered for their degree of design implementation to create quality and value for the consumers and clients: The following are some of the aspects that are considered: For Brands: Overall brand recognition, Use of Design Packaging, Brand Identity Design, Interior Design of Offices and Sales Channels, Product Portfolio etc. For Products: Product Packaging, Brand Identity and Post Sale Services, Production Quality etc. For Services: Concierge service, Brand Identity, Loyalty Program Design, VIP Consumer Support etc. For Location-Specific Applications (Such as Hotels, Clubs): Location, Interior Design, Loyalty Program Design, Brand Identity Design, VIP Consumer Support and Architectural Design is especially considered among with reputation. Please note that expensive does not mean luxury. The A’ Design Award for luxury products award does not consider the cost of submitted services or products as a factor when deciding award status. Products that are “pure gold” versions of regular items are therefore not eligible; significant art and craft work or superior design is required for consideration of luxury products. Likewise, a service is not luxury just because it is called “Platinum”; for award consideration please remember to submit the PDF that explains improvements or added services or amenities when compared to regular products, services or accommodation. Award winners will be able to use a title that matches their nomination category: Such as "Luxury Design Award Winner". View previous period luxury design award winners here. Optional Image #3 1800 x 1800 pixels JPEG Showing the product in a setting where the product is utilized, or an action shot. Alternatively details of packaging and extra contents.For services, additional designs and illustrations, brand identity images and details. Documentation* Max. 40 x A4 Pages PDF Explaining technical aspects, blue prints, details, commercial presentation or other notes about the product design and its packaging, for services please include any details such as loyalty programs, vip customer service etc. For accomodation, clubs, dining etc, please remember to provide brand identity. 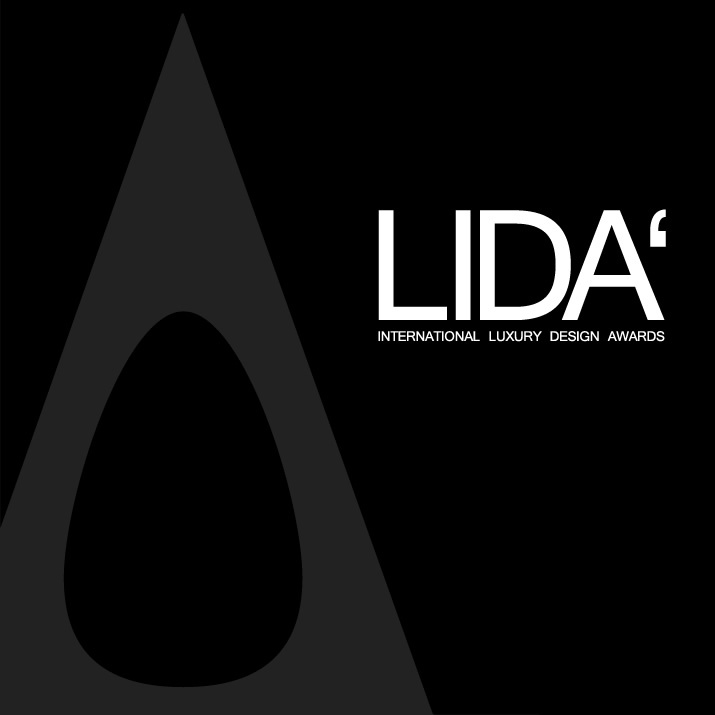 LIDA - The International Luxury Design Awards, is a major design award category part of A' Design Awards & Competitions. Enter your luxury offerings, products and services for international awareness, fame, prestige, credibility & publicity.